LaHinch Tavern And Grill, Potomac MD – Thursday March 28 7PM to 10PM. This may be our last performance in Montgomery County for a few months. We hope you can come out and have some fun with us this month. We are honored to be invited back, for a our February performance, to Castlebay Irish Pub, Annapolis MD this Sunday Feb 17, 2019 from around 3:30 to around 7PM. We’d love it if you could come out and enjoy some or all of that time with us. We are trying to perform about once a month. Our next performance after this Sunday is St Patrick’s Day (Sunday Mar 17) from noon to 4PM at Brian Boru Restruant And Pub in Severna Park, MD. We are delighted to have our Annapolis debut at Castlebay Irish Pub, Annapolis MD this Sunday Jan 13, 2019 from around 3:30 to 7PM. Castlebay wants to bring back Irish music on Sunday afternoons and Celtic Rose is honored to be the first to be invited. 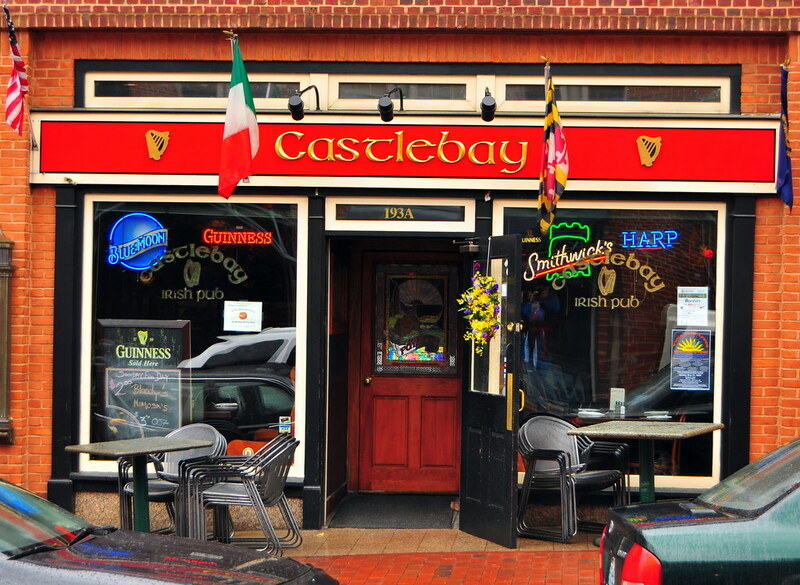 Castlebay is located right in the middle of old-town Annapolis at 193A Main Street, Annapolis, MD 21401. Established in 1998 by native Dubliner, Vincent Quinlan, Castlebay is the place to go for the full Irish pub experience. This time of year you never know about the weather. We’ll send out emails and update the web site if we have to cancel. We’ve been having a great time staying busy lately matching our preference of performing around once a month. Our next performance is a bit of a jog from our home base, Saturday Dec 29, 2018 1PM to 4PM at Doukenie Winery in Hillsboro, VA. We just met them in September and this is our third time there so they must like us and we love them. What a beautiful setting. Here’s a photo from our recent Dec 1 appearance. We also had another great time at Lahinch Tavern And Grill on Nov 1. We’d like to thank our friends for coming out and snapping these shots. We are grateful for an opportunity to return to LaHinch Irish Tavern And Grill in Cabin John, MD. It this Thursday, Nov 1, from 7PM to 10PM. Kim and Michael have moved to Annapolis so we may not be playing as often in Montgomery County. We’d be delighted to have you come out. Last Sunday (Oct 21) we were honored to be so gracioulsy received at Doukenie Winery in Purcellville, VA. We love playing wineries and our peppy Irish folk music comes across as something fresh. Doukenie Winery is beautifully situated just before the first ridge of the Shanendoah mountains. We are looking forward to coming back when the weather lets play outside and fully enjoy the setting. Many thanks to all our new friends who came out to see us. We had a really great time at Something Earthy a couple of Sundays ago (7/30/2018) and are grateful for all the friends that came out. Our next gig is out of town (Keswick Vineyards, Charlottesville, VA), Sunday afternoon 9/9. After that we’ll be playing Doukenie Winery (14727 Mountain Road | Purcellville, VA 20132) Sunday October 21, 1 to 5PM. This about a 35 minute drive from Dulles Airport so its possible some of our Virginia friends might want to come by. Here’s a youtube video from the Something Earthy performance. As alway, click here for our online music. We’ll be doing an outdoor concert at Something Earthy in Laytonsville on Sunday July 29 from 5 to 8PM (24410 Hipsley Mill Rd. • Laytonsville, MD 20882 • 301.414.5435 ). As you can see below, this is a beatiful picnic setting so bring some lawn chairs and blankets. You can bring a picnic dinner or enjoy BBQ cooked on the premises. This should be a great way to enjoy a summer evening. This will be our last performance in Montgomery County for a while as we are booked out of town thru November, so we hope to see you there. Click here for other the other music we have online. Here’s a Youtube from we made during our 5/18/2018 practice. This is a good example of what we sound like as the sound is recorded with nothing other than a hand-held recorder. Enter your email address to follow this blog and receive notifications of upcoming performances by email.